A Chinese bank, the China International Capital Corp (CICC), said on Sunday that the country’s nominal GDP is forecast to grow in Q1 2017 as economic activity improves. Nominal GDP differs from real GDP in that it does not account for inflation. China’s nominal GDP growth in 2016 was eight per cent, whereas its real GDP growth was 6.7 per cent, well within government expectations. 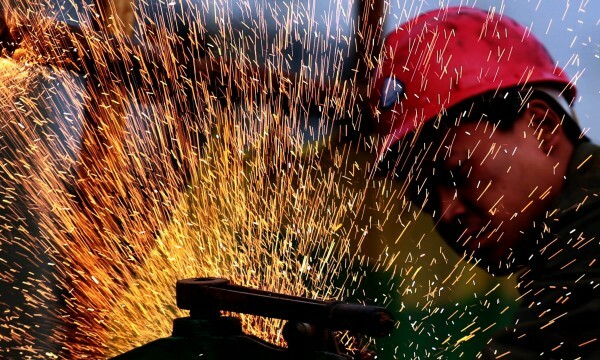 The CICC says that for the first quarter of this year it is projecting nominal GDP growth at 9.5 per cent due to a predicted recovery in China’s export market and growth in industrial output. Real growth in 2016 Q4 was a robust 6.8 per cent, the National Bureau of Statistics (NBS) said, beating forecasts. Domestic consumption played a large role in keeping the growth rate within the range, contributing 64.6 per cent to GDP growth in 2016. However, it said that industrial output growth slowed for the year, down to 6 per cent from 6.1 percent in 2015. And in a further sign that China’s real GDP growth may decrease in 2018, the IMF warned that a slowing real estate sector could push the growth rate to six per cent in 2018. The NBS reported last week that the real estate sector growth dipped from 8.8 per cent in Q3 to 7.7 per cent in Q4.